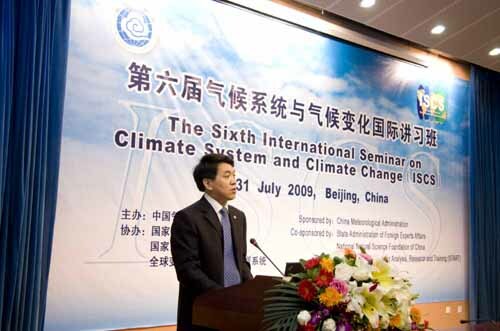 On July 20, the 6th international seminar on climate system and climate change, which was sponsored by China Meteorological Administration (CMA) and supported by State Administration of Foreign Experts Affairs and other relevant departments opened in Beijing. Administrator of CMA Zheng Guoguang presided with the opening ceremony and delivered a speech. Zheng Guoguang said that with the work of tackling climate change becoming further and further, questions in different aspects and departments were also increasing, which could only be solved by scientific technology. At the same time, tackling climate change would be a long-term tough task. Every year, new staffs will take part in the task of tackling climate change in Chinese. However, climate change involves a large scale. So they should be taught the comprehensive knowledge and be guided based on the present key questions. He expressed that through this international seminar, we would learn more about the international forefront and hot issues, improve Chinese and international technology of climate system and climate change and train the young staffs in this field. CMA will continue to hold such kind of seminar in the future. 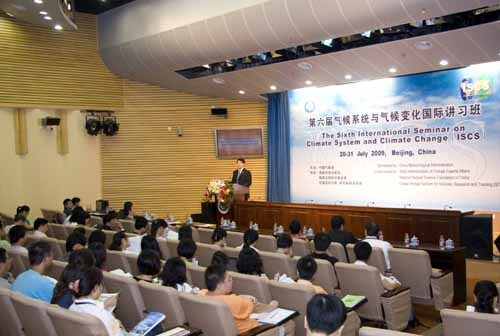 From July 20 to 31, 5 well-known climate system and climate change experts will be invited to give lessons for the trainees from colleges, Chinese Academy of Sciences (CAS) and the local meteorological bureaus. The subjects include climate change’s influences and response, climate change’s influence to water resource, rising sea level, climate change and social sustainable development and etc. These are several significant aspects of climate change and the climate system research. They are also the key focuses of IPCC 5th assessment report. It is reported that CMA has continuously held the “international seminar on climate system and climate change” for 5 times. In the past 5 years, over 700 young scientists from meteorological, agricultural, CAS and other relevant departments, research institutes, colleges and China’s neighboring countries have accepted the training and got good results.